If you’re anything like me, laundry time is the PITS! Separating whites and darks? For the birds! My family even needs a separate load for neons. Can you believe that?! It can take me a few days to (remember to switch) get the entire households’ laundry washed, dried, and folded (ha!) and then put away. Most of the time we live out of clean laundry baskets. I know – total parenting fail, but it is usually the absolute last thing I want to do! The best thing I’ve found to make me WANT to do laundry is to “cuten” up the laundry room. Add white cabinets above your washer and dryer with a pole for hanging items if you’ve got the space. Our laundry room has the most gaudy utility sink known to man…but the space is painted a nice periwinkle and we’ve hung cute signs. Also get cute laundry baskets like these on amazon! Here are my favorite (and a few from us!) Easy and Free Laundry Room Signs to help liven up your laundry room! 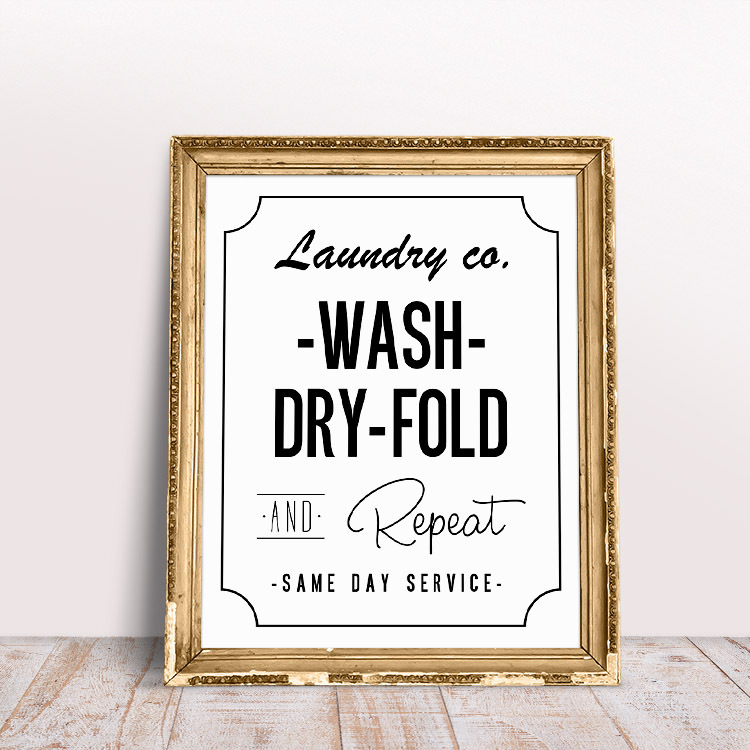 Wash Dry Fold and Repeat Laundry Room Printable by The Cottage Market – Several colors and styles available.